How to make multiplayer on PPSSPP Android games – Yeah, we’ve never posted about how to make multiplayer on PPSSPP Android games, therefore we are going to guide you by this article so you can play any PPSSPP games with your friends together via WiFi. 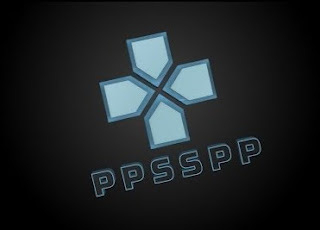 Multiplayer ppsspp, multiplayer ppsspp games or multiplayer games ppsspp give you many the advantages such as you’re not feeling lonely when you play it because you can play and explore game with your friends. This usually occurs on multiplayer ppsspp pc or laptop where mostly pc gamers play multiplayer via offline or online. There are many kind of games on Android and in this article we just discuss multiplayer via WiFi, if you are looking an article related to multiplayer ppsspp lan you can read our another article. Actually multiplayer mode isn’t the only for ppsspp game but multiplayer games app store online, multiplayer games app store free or multiplayer games app store. This means you can also play multiplayer mode by downloading games on Google Play Store though that’s not ppsspp games. First, download Adhoc Server Mod.apk file to set it as host! Set your phone to be clients, change Adhoc Server becomes 192.168.43.1,done! Install and run the Adhoc Server application. The application will run with white display on the background, let it keep running on background and press minimize button or home! Turn on tethering and launch game! Turn on WiFi and find hostpot, then connect it! Open ppsspp and run game same game with client! Belum ada tanggapan untuk "Make Multiplayer on PPSSPP Android Games"